Won't somebody think of the terrorist's feelings?! 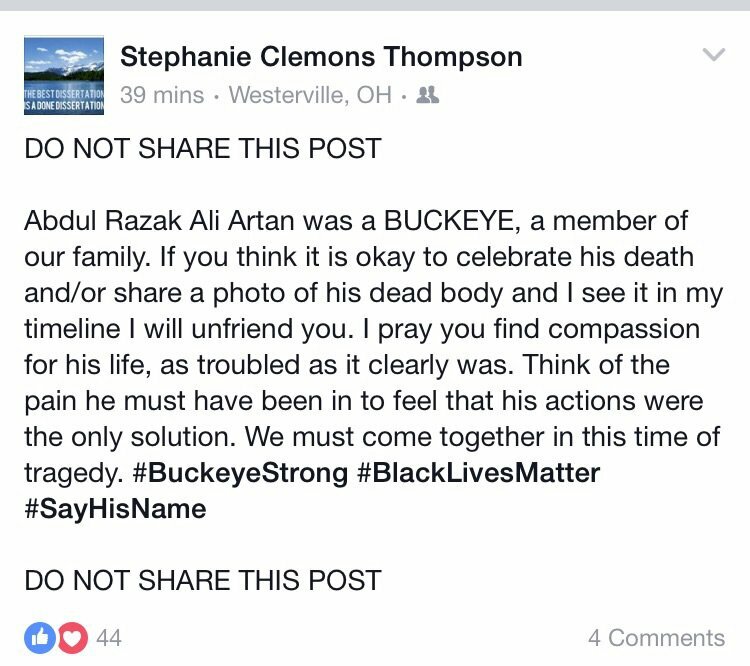 The Ohio State University assistant director of residence life allegedly expressed sympathy for Somali stabber Abdul Razak Ali Artan in a bizarre Facebook post Monday that has since gone viral. 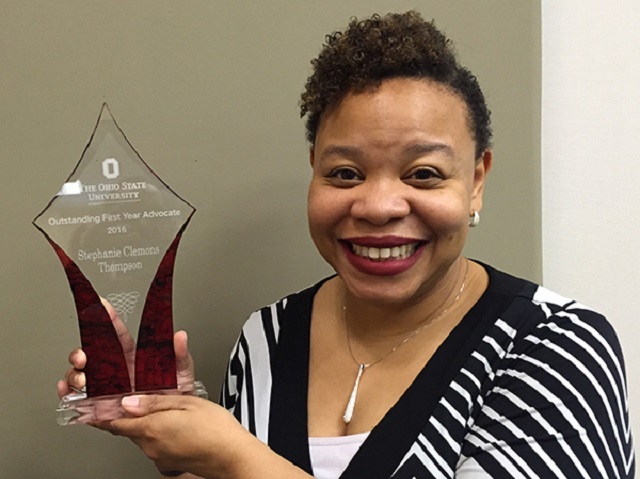 Stephanie Clemons Thompson urged her followers to have compassion for Artan after he expressed a desire "to kill a billion infidels" and then tried to kill as many as he could at OSU. She also urged people to “think of the pain he must have been in,” and used the hashtags #BlackLivesMatter and #SayHisName (which BLM uses to denote victims of police brutality). His name was Abdul Razak Ali Artan. He and his family had their entire lives paid for by US taxpayers. He repaid us by trying to kill as many random "infidels" at Ohio State University as he could while hailing terrorist Anwar al-Awlaki as a "hero." 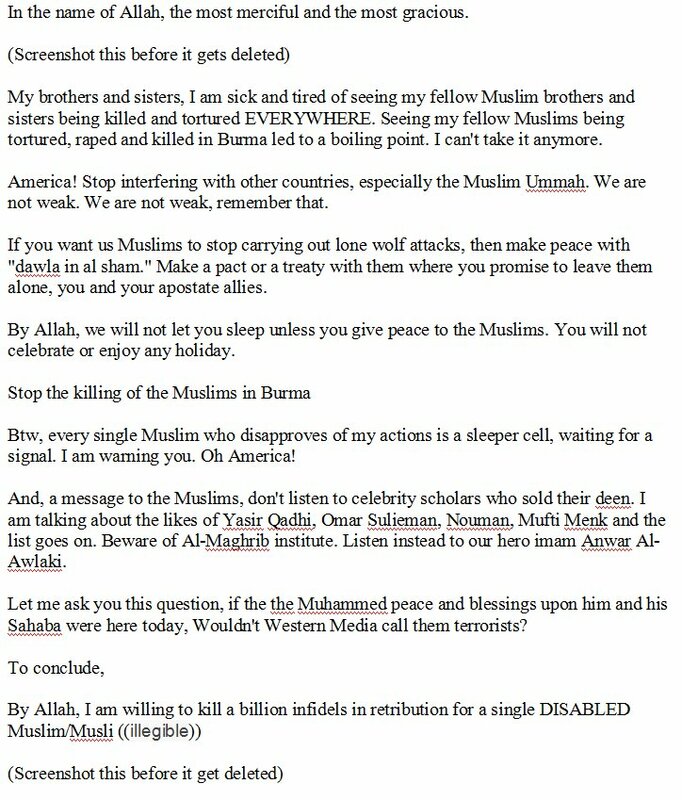 The rant he posted on Facebook attempting to justify his terror attack was incoherent garbage. His big grief was a complaint about "Muslims being tortured, raped and killed in Burma." The US government has explicitly condemned the Burmese government for persecuting Muslims in Burma, they passed a resolution on it in 2014. There's literally zero reason to show this man an ounce of sympathy, yet Stephanie Clemons Thompson seems to feel this was some Black Lives Matter shooting by a racist white cop.